I promised that when I put up my Thanksgiving side dish inspiration that I would try to get up two more posts with dessert and maybe appetizers too! This is probably one of my most favorite cakes I've ever had, and one that I really enjoy making! This recipe is super sweet and moist, perfect for a Thanksgiving get-together. . . I mean, all the other dishes are rich and decadent, why not end the meal on the same note?! If you love the traditional taste of pie at Thanksgiving dinner, but you want a more modern twist (and maybe you want to feed more mouths!) then these pie bars are a great option. I've never tried this recipe before, but it sounds very simple so it would be a great option for those who are short on cooking skills or don't have time to spend all day in the kitchen. If you're a basic white girl who frequents Starbucks, you probably get just as excited about these desserts as you do about the Pumpkin Spice Latte. These bars are full of deliciousness; cranberry pieces, white chocolate, vanilla, brown sugar, and a hint of orange. They're the best seasonal treat and not too challenging. I probably won't be making these for Thanksgiving, but you best bet that I'm going to be making these around Christmastime! 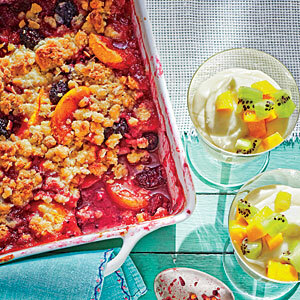 This suggests using fresh fruit, but I know for a fact that you can use de-frosted frozen peaches and blackberries and it will still taste delish! This is a one pan dessert, so you don't have to worry about dirty-ing up your entire kitchen, but it does take about 45 minutes to cook, so prepare for that! I hope y'all enjoyed this roundup and if you decide to cook any of these, tag me in pictures on insta at @SouthernStylista, I would love to see them! I'm hungry just looking at this post- the caramel cake looks divine!! Mercy, I love your Carmel Cake and Cranberry desserts!! :) Happy Thanksgiving to you!! All of these look so yummy. You're tempting me to take a trip to to the grocery store to make these right. now! I can feel my sweet tooth aching for these treats! Great roundup! Omg this makes me so hungry!!! These look delicious! I"m a sucker for dessert. Oh wow, I am getting hungry right now haha. I cant wait for Thanksgiving. This makes me wish I'd grabbed some dessert tonight! It all looks so delicious. I love pies for Thanksgiving dessert- definitely my favorite! YUM. Pinning all of these to make ASAP!! These desserts look scrumptious! Drooling over my screen! These all look so yummy!! Literally all of these look and sound delicious. I'd love to try the pecan pie bars and caramel cake! The caramel cake looks delish! Oh my goodness those all look so good! Ahh, these pictures are making me hungry during class! Definitely passing this on to my aunt for Thanksgiving! 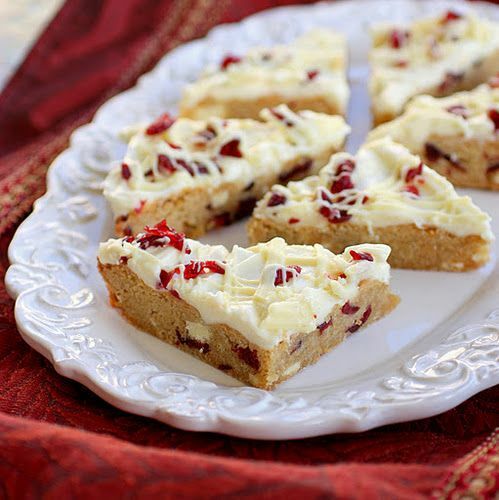 everything looks so good, i love the cranberry bliss bars! 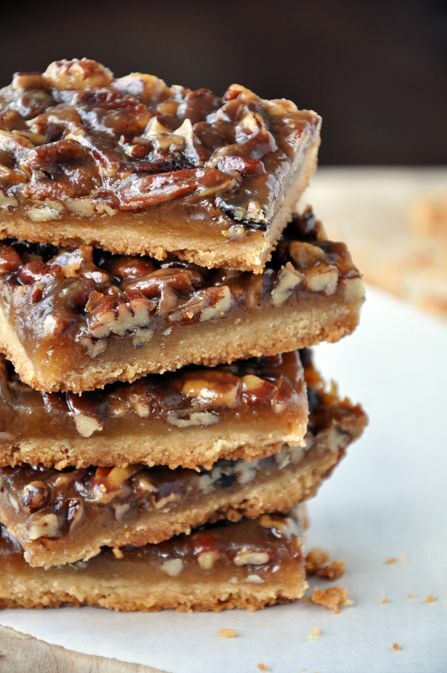 The pecan pie bars sound heavenly! I tried a cranberry bliss bar for the first time yesterday and it was SO yummy! That southern carmel cake looks amazing too! 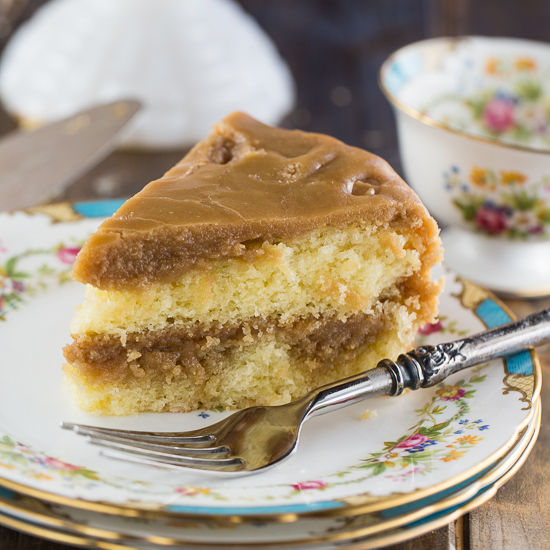 Why have I never heard of southern caramel cake?!?! That Southern Caramel Cake looks SO SO SO good! I really don't like pumpkin or apple pie, so I usually skip dessert on Thanksgiving (it's a travesty, I know) but I might have to run out and get these ingredients before tomorrow! Yum! all of these look amazing! !